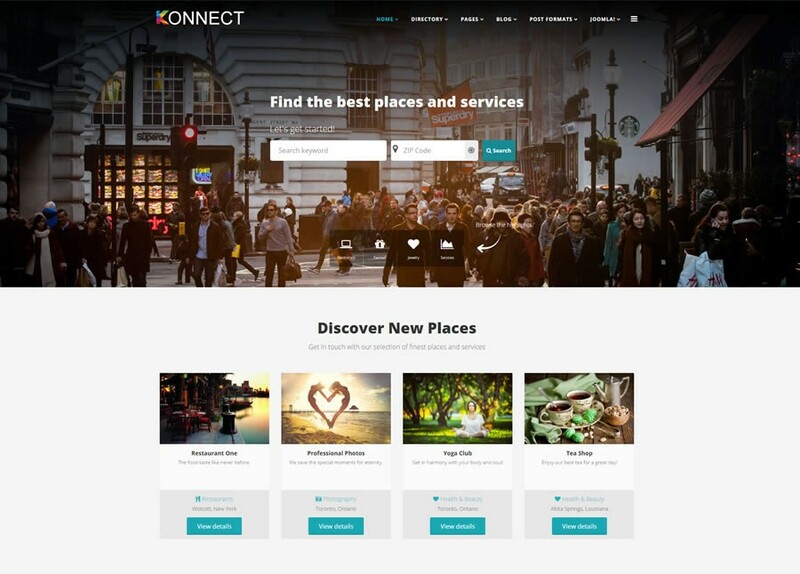 Use J-Konnect Template to create a professional website with a unique design. Tailored specifically for directory needs this template will allow you to tailor any type of directory. The template uses Helix 3 framework and Page builder extension that will help customize the template in any way you want: colors, headers, custom pages, custom module position. J-Konnect is fully responsive and it is automatically adapted to the screen size, resolution and device on which the web site is being viewed for on. This means your website will look great whatever the screen size or device your visitors use to visit your site, from desktop computers to tablets or mobile phones. Notice: The template does not contain the directory component.